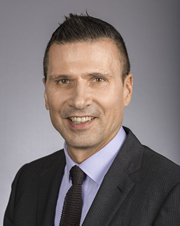 Michael Salvatori served as a teacher, vice-principal, principal, College client services manager, accreditation program officer, membership services director, and assistant professor at York University prior to his appointment as Chief Executive Officer and Registrar of the Ontario College of Teachers. Fluent in English, French, German and Italian, Michael earned a PhD in Curriculum, Teaching and Learning from the Ontario Institute for Studies in Education, University of Toronto. He also holds MEd and BEd degrees from Western University and a BA from the University of Toronto. He has authored and co-authored numerous teacher resources and textbooks and is an advocate of making self-regulation relevant to members. Joe Jamieson was appointed in September 2009 as Deputy Registrar of the Ontario College of Teachers. 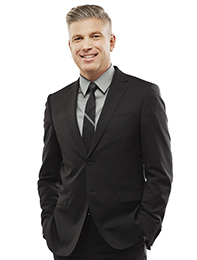 Certified to teach in Quebec in 1992, Joe began his career in education with the Halton Catholic District School Board. He has served as a teacher, writer, curriculum consultant and as a director of the Ontario College of Teachers’ Standards of Practice and Accreditation department and Investigations and Hearings department. He holds a MEd from the University of Toronto, a BA from the University of Waterloo and a Diploma in Secondary Education from McGill University. 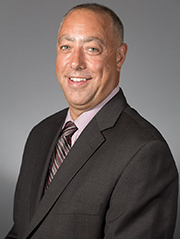 Joe has responsibilities in managing the College’s financial systems, including its $40 million annual operating budget, working closely with the 37 elected and appointed members of the College’s governing Council, leading major College initiatives and speaking frequently to community partners. He belongs to the Council for Licensure Enforcement and Regulation’s international relations committee and is a publicly appointed member on the Council of the College of Nurses of Ontario. He is the Chair of the Professional Practices Committee of the National Association of State Directors of Teacher Education and Certification (NASDTEC) and the recipient of its 2015 Doug Bates Award. Joe is a compelling and sought after presenter within the education sector. He speaks frequently at public and education conferences on topics such as professional conduct, use of social media, leadership requirements, education law, and LGBTQ (Lesbian, Gay, Bisexual, Transgender and Queer) issues in education. Chantal Bélisle is the Director of Investigations and Hearings with the Ontario College of Teachers and is also a member of the College. Since Chantal was first employed by the College in 2008 as a bilingual Investigator she has held other positions in the organization including that of a secondment to the Complaint Resolution Program, and that of a bilingual Program Officer in Accreditation. 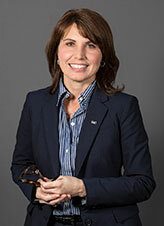 Chantal holds Principal’s Qualifications as well as a Master of Laws degree, through York University’s Osgoode Hall Law School, and has advanced certification in dispute resolution and mediation through York University. Prior to arriving at the College, Chantal was a teacher for 16 years in Simcoe County with the Catholic as well as the public French language school boards. Chantal’s other professional experience includes participation on initiatives for the Ministry of Education and a roster member with York University’s ADR program. 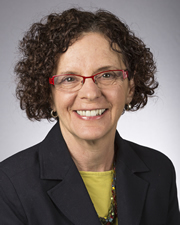 Linda Zaks-Walker is Director of Membership Services at the Ontario College of Teachers. Linda has worked in education in a variety of roles. She is a former Director of Investigations and Hearings at the Ontario College of Teachers. She was a project manager for Teach in Ontario, a bridging program that assisted internationally educated teachers to become certified in Ontario and find employment. From 2001 to 2003, Linda worked as an education officer for the Ministry of Education. Linda started her career as an elementary teacher in the Durham District School Board and also served as a special education resource teacher, vice-principal and principal in that board. In addition, Linda has taught Special Education, Part 1 for York University. Roch Gallien, OCT, is the Director of Standards of Practice and Accreditation. Before joining the College in 2015, Gallien was Director of Education of the Conseil scolaire public du Nord-Est de l'Ontario for six years and, prior to that, served seven years as a superintendent for the Conseil scolaire public du Grand-Nord de l'Ontario, servicing northwest Ontario. As a teacher, he taught a variety of subjects in French- and English-language schools, including technology, and worked as a vice-principal for the Rainbow District School Board. Roch holds a bachelor of education degree from Laurentian University and a master's in administration from the University of Ottawa. He was a member of the Council of Ontario Directors of Education (CODE) Executive and of the Conseil ontarien des directions de l'éducation de langue française (CODELF), and has been a member of various Ministry of Education committees. Rich Lewko is the College’s Director of Corporate and Council Services. Rich is responsible for a range of services including Policy and Research, Communications, Information Technology, Human Resources and Facilities. Under his leadership, a highly trained team of individuals support the work of the College Council as well as the Executive, Accreditation Appeal, Registration Appeals, Governance, Quality Assurance, Human Resources, Editorial Board and Public Interest Committees. Prior to joining the College’s senior leadership team in 1995, Rich served as Chief of Staff to Ontario’s Minister of Education (1993-1995) and Special Assistant to the Government House Leader in the Ontario Legislature (1991-1993). Before relocating to Ontario in 1991, he held several positions with increasing responsibility in Manitoba including Executive Assistant to the Minister of Industry and Trade, and Research Director to the Government Caucus in the Manitoba Legislative Assembly. He also owned and operated a commercial printing and design business in Winnipeg. Rich has been an active member of the International Youth Hosteling Federation including service as a provincial president. 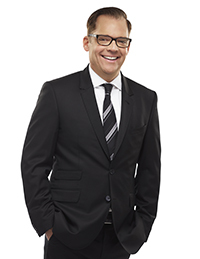 He studied at the University of Winnipeg with a specialization in Political Science.